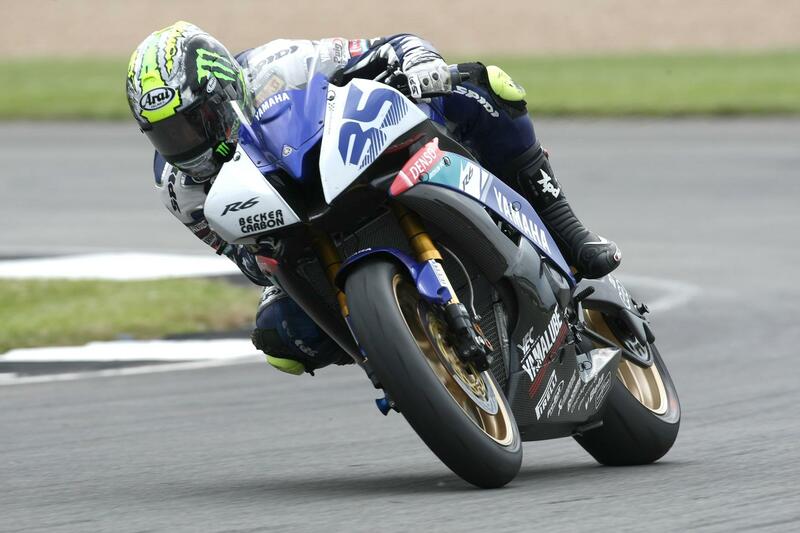 Cal Crutchlow had a dramatic qualifying session at Donington Park ahead of round nine of the World Supersport Championship where he secured pole position. Riding with a cracked bone in his ankle, the gritty Yamaha rider lost the front just four laps into the session and crashed. This fall cost him a lot of time and he has sustained a nasty cut to his right leg. With everything seeming to go against him he dug deep and pulled out an awesome lap to take pole just as the session closed. Cal said: “I could have been faster. I lost time on the brakes into the Melbourne loop as I ran wide. The reason for my crash was I couldn’t get back enough gears and it pushed me wide. Eugene Laverty on the Parkalgar Honda looked like he was on for pole as he grabbed P1 with just three minutes left to run, but Crutchlow’s late charge pipped him to it. The Irish man said: “That was a good session. Second place is ok but there is still more work to be done to my Parkalgar Honda. We are not quite there yet so I hope we get a dry warm-up tomorrow to try out the changes. Joan Lascorz on the Kawasaki was on form and lead the bulk of the session finally finishing in third place. The last place on the front row of the grid went to former World Supersport Champion Kenan Sofuoglu on the Ten Kate Honda. He started his session with a crash on his out lap but pulled it back to take a front row start.